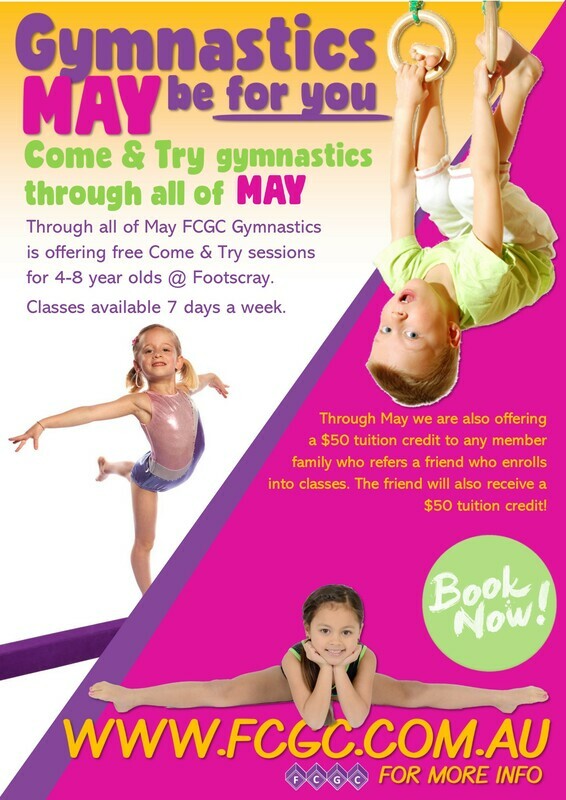 For all of MAY children aged 4-8 years can come & try a class at FCGC for free! Gymnastics MAY be for you! Through all of MAY children aged between 4-8 years can come & try a class for free at our Footscray location. Classes are available 7 days a week so you can find a time that suits you. Offer is valid for new members and current members when trialing a differing program than their current enrollment. Space are limited in classes and bookings are essential. Bookings can be made via our Customer Portal which can be found by clicking here. Through May we are offering a $50 tuition credit to any member family who refers a friends and enrolls into a class. 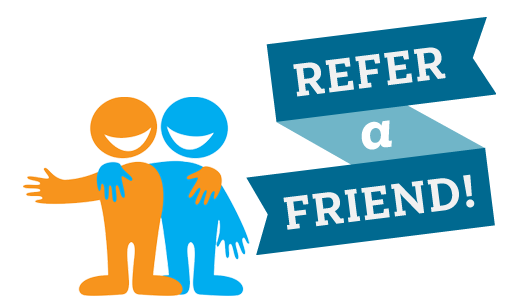 The friend will also receive a $50 tuition credit. *Offer is valid for referring new members only.